We pride ourselves on successfully making your dreams of becoming a parent a reality. Our experienced master's-Ievel professional staff is available every step of the way, from your very first thoughts to sorting out options and answering any questions. Our network of local adoptive families is also available for support and information. We pride ourselves on successfully making your dreams of becoming a parent a reality. Do not let your age, sexual orientation, marital status or medical condition stand in your way. JFS works with a network of licensed adoption agencies that have children available from all corners of the world. We can help you identify the country that best meets your expectations. 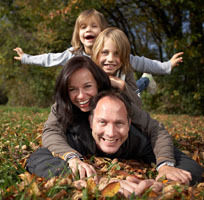 Through us, you can meet other Connecticut families that have successfully and happily adopted. The world of International Adoption has recently gone through a major change with the acceptance of the Hague Convention on adoption. This document imposes strict requirements on all phases of international adaption. At present, Jewish Family Service can provide home studies for families adopting from both Hague and non-Hague countries as long as the family is working with an approved agency. All those interested in adopting in Connecticut must have an approved homestudy. This must be written by an agency licensed by the Connecticut Department of Children and Families. Jewish Family Service is such a licensed agency. A homestudy is a snapshot of your life, home, and expectations as you are about to embark on this new adventure. Typically, it takes three in-person meetings, one of which takes place in your home. You and your agency review it before it is finalized. There are no surprises when you use Jewish Family Service. Generally, studies are completed in eight to ten weeks. In Connecticut, your homestudy is valid for two years after completion. Some agencies require an update after one year. Most domestic and foreign adoptions require post-placement visits. We provide the necessary reports on a timely basis. If your adoption requires finalization through the Connecticut probate courts, JFS completes the whole process. No attorney is needed. We offer ongoing education covering the full range of aspects of adoption and child-rearing. Our training meets the 10-Hour Hague requirements. Our professional staff is available to meet with families and individuals to provide support and counsel as specialized issues arise.